SGB-SMIT POWER MATLA manufactures and supplies a range of special transformers. These include arc-furnace, grid connected, on-board locomotive transformers and shunt reactors. SGB-SMIT POWER MATLA is able to produce transformers for all furnace applications. A robust design guarantees mechanical strength for steel furnace operations and temperature control for continuous high loads in ferro-alloy operations. Electric traction is a highly advantageous substitute to conventional fossil fuel-based traction systems. Traction transformers are an integral part of the electric traction system. The trackside/grid-connected power transformers are used for stepping down the voltage levels for the railway network. Each railway project is unique; our on-board locomotive transformers are tailor-made in order to answer to train needs and constraints in operation (route, environment and climate). Designs are fully modular, ensuring adapted dimensions, a mastered weight and the use of proven design and manufacturing techniques for 100% reliability whatever the situation. Reactors may be connected to the power system at junctures where several lines meet or to tertiary windings of transformers. They are required when long power transformer lines for system voltages 220 kV and higher are built. 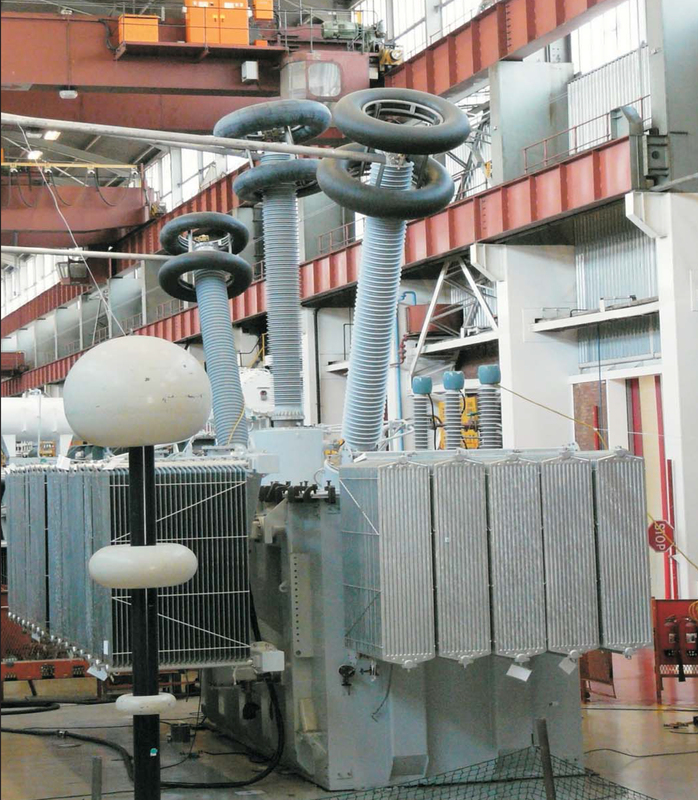 Reactors contain the same components as power transformers, the main difference is the reactor core limbs, which have non-magnetic gaps inserted between packets of core steel. SGB-SMIT POWER MATLA has the ability to build shunt reactors up to voltages of 500 kV.